The third open day held by the Oxfordshire Narrow Gauge Railway Modellers was again held in the excellent village hall at Steventon, not very far from Wantage, which light railway enthusiasts will be very familiar with and Didcot, where those who have a weakness for the Great Western (Heresy) Railway feel very much at home. 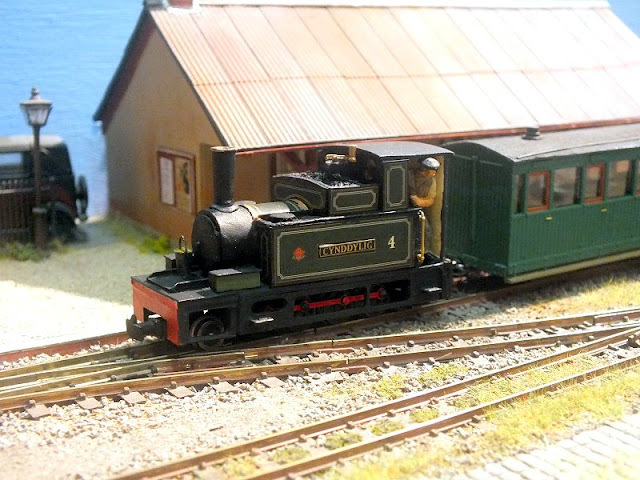 Despite a couple of late cancellations of layouts there was still a very good selection of layouts present, specialist traders and of course splendid refreshments, but as they used to say in the Olde Tyme Music Hall – Chiefly, Yourselves! All the right buttons pressed by the organising team and another very friendly, informal and enjoyable day out as a result! As I’ve often remarked before, if you haven’t yet been to one of these village hall specialist narrow gauge modelling group open days then you really must, they are the very essence of the hobby.